A compact shrub with masses of flowers tightly packed onto cone shaped, full flower heads. 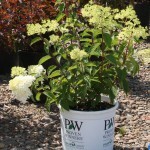 The creamy white flowers age to pink in the late summer and fall. 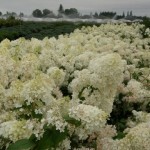 As with many hydrangeas, they can be used as fresh or dried flowers.